Hey Ude-san, snap out of it! Naturally right after I returned to Finland, I was still high from the trip, raving and praising Japan like anyone would do after a successful visit in a foreign land. So now, some two months after the trip and the dust settled, a slightly more objective view can be made. *Sigh*, it was still a great trip. The country constantly kept me surprised, the food was great, the people were kind and often it simply felt like a country of good will. So at least my feelings towards Japan haven't changed to the opposite once I returned to Finland. Japan truly was what I heard and hoped it to be. Traveling around Japan was a breeze, thanks to the great railway network. Moving from one city to another by train was the sort of freedom I wanted in my vacation. The only restricting thing was the pre-reserved accommodations I made before I came to Japan, but it didn't bother me too much. Well, missing Hiroshima still bites, but if I manage to come up with the money to visit Japan again, I surely will use the Japan Rail pass more actively and explore Japan more widely. In this trip, traveling alone in Japan was great. The safety level in Japan was high (if not very high) and the Japanese were ever so helpful (how many times have I mentioned this already?). I could visit the places I was interested in and take pauses and eat when I liked, not needing to make possible compromises with a travel mate or going to places I wasn't interested in myself. Of course there were times when a companion would have been welcomed in deciding where to go, but this was a minor "problem". Actually the only situation I would have liked a travel mate was when I had a huge urge to talk with someone before my head would explode from the overload of new experiences at Tokyo. So it was a relief the guesthouse in Kyoto had plenty of people wanting to talk too. Meeting my Japanese contacts spiced up my visit a lot. Having a local showing places, explaining things I don't understand and just talking let me get a step closer to Japan I never would have managed by my own. I was very grateful and respected them for having them touring me around during their own limited free time. 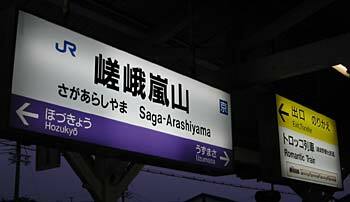 Were there any bad aspects of Japan? Sheesh, that's a tough one. As a tourist in Japan, I honestly can't think of a single bad thing about Japan other than it could be less expensive! If I go a step deeper and talk what Japan would be to work and live in (the real Japan), I could easily bring out a few things that would please some cynical readers, but this conclusion page will firmly stick to the tourist viewpoint for now as I really can't talk about it from experience. After writing a dozen of pages of my fourteen day trip, how can I possibly squeeze the experience into a few exhaustive words? I can't. I can basically just throw in the old cliché, "you have to experience it for yourself". If the trip would have been a big disappointment, would I've still made this site? Probably not, or at least not of this scale. The energy drive, the politeness, the high-end technology, the food, the temples, the religions, the history, the arts ... Japan is a country and society of its own in Asia and on this planet anyway for that matter (was this obvious thing even necessary to point out?). If you have been interested in Japan for whatever reason and you have been thinking of visiting the country, go for it. Chances are you've been fond of the country for a reason. Japan will fulfil your expectations, exceed them and keep you delightfully surprised. I loved it myself, although I haven't abandoned Finland because of this (this is still a great country too!). Also let me remind you again that this report was written by a guy who is heavily fascinated of Japan, but again: this is a free site. 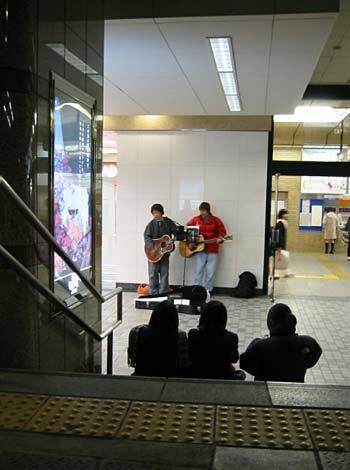 Easy going at Kyoto station. Overall I enjoyed the peaceful atmosphere throughout Japan. JR's signs won't get much more gaijin friendly than this. 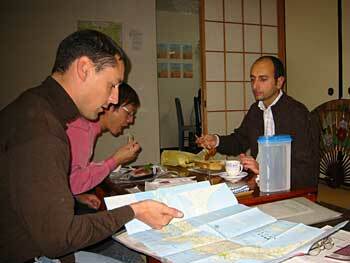 My three dormitory mates from the guesthouse in Kyoto, eating a late dinner and exchanging experiences of Japan. 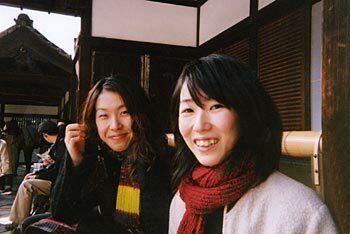 Aya and Maki in Kyoto (and Yamauchi and Kanako in Tokyo) were valuable in showing me places and understanding Japan better. 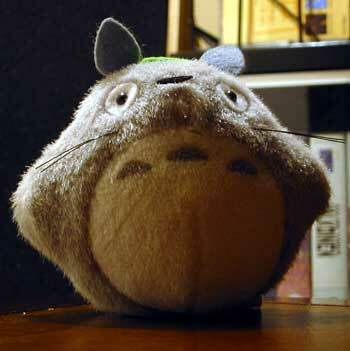 It's a genuine Totoro toy I bought for my sister.